Coming up January 30 – Film, Talk, Music! New York in the Fifties, the documentary film based on Dan Wakefield’s memoir and produced by Betsy Blankenbaker, will be shown at The Jazz Kitchen Tuesday, Jan. 30. The film features Joan Didion, James Baldwin, Gay Talese, David Amram, William F. Buckley, Norman Mailer – and Wakefield, who will be there to answer questions after the screening. Steve Allee, the jazz pianist/composer who wrote the music for the film, will be there in person to play songs from the ‘fifties, along with star saxophonist Sophie Faught after the movie. 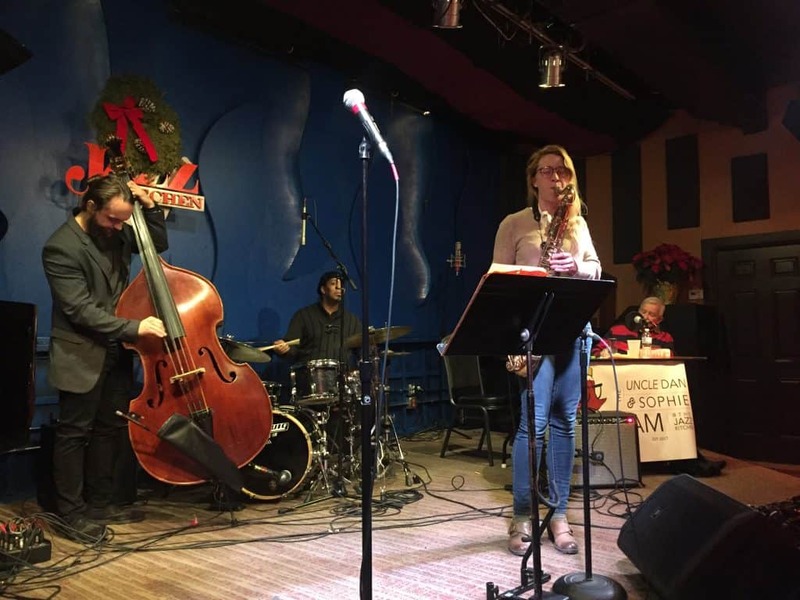 David Linard, the jazz piano player with “Sammy Miller and the Congregation” in New York City, came home for the holidays and joined “The Uncle Dan and Sophie Jam” at The Jazz Kitchen for a great night of music and talk. David joined his friend Sophie Faught on saxophone and her trio of Nick Tucker on bass and Sammy Phelps on drums. Just before the close of the last number Joel Tucker, brother of Nick, showed up with his guitar and a true jam sessions rocked The Jazz Kitchen. I have not heard that pitch of jazz and felt the spirit it created in the room since my nights at the legendary Five Spot in The Bowery in New York in the Fifties, when John Coltrane, Thelonius Monk and Charles Mingus – and my friend David Amram – held the stage there. This was the second rendition of “The Uncle Dan and Sophie Jam,” and we continued our theme that began with “Starting Out” with Sophie and my stories of what it was like starting our as a musician in the current era, and as a writer in New York in the Fifties, with music to match the mood of our experiences. We moved on this time to “The Big Break,” which for Sophie was playing with Nicholas Payton at Lincoln Center, and for me was covering the Emmett Till Murder Trial in Mississippi in 1955. David Linard joined us with the story of his audition at Julliard, when he played “Voyage,” with the music’s composer listening as one of the judges – and David played it for us. Sophie told of having to be ready to play any one of dozens of compositions that Payton might play and expect her to know it and she played for us “Neffertiti,” the Miles David composition she played with Nick Payton that night at Lincoln Center. For my reminiscence of the Emmett Till Trial, when I described arriving in the town square of Sumner, the Mississippi town where the trial took place, Linard struck a deep, shuddering bass chord and played “Dixie,” and after describing the trial that found the murderers “Not guilty” [they later confessed for pay in a magazine article] I read the first sentence of my article for The Nation: “The crowds are gone, and this Delta town is back to its silent, solid life that is based on cotton and the proposition that a whole race of men was created to pick it.” I had originally asked that “We Shall Overcome” be played, but after I thought of the darkness of the trial and what it represented, I asked that instead our musicians play “God Bless The Child.” They did it, with the sacred beauty it deserved. As I sat back and listened to these young, super-talented and dedicated musicians play on with the music that is truly American, sustaining a spirit that refuses to be crushed, sustaining all of us who are open to it, I thought of a great response from Kurt Vonnegut. He had said that the purpose of all art was to make people happy, and a sharp-tongued questioner said “What’s an example?” Without missing a beat, Kurt said “The Beatles.” The answer could have been David Linard, Sophie Faught, Nick Tucker, Sammy Phelps and Joel Tucker at The Jazz Kitchen Tuesday night. When they played, no one remembered how cold it was outside. 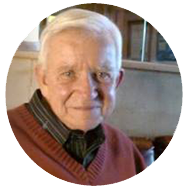 "Dan Wakefield writes about mid-America during WWII with the narrative skill of a Booth Tarkington laced with the more stoic sense of the human condition of an Ernest Hemingway."